Everybody celebrates Valentine’s Day in their own way. You might be in a long term relationship, ready to celebrate another milestone with your partner. You might be just starting a relationship and having your first big day together. You might be planning a night out with friends. You might be planning to blacklist anything pink or red and stay inside with the shades closed because love is for suckers. No matter what your plans are, there is always room for dessert! 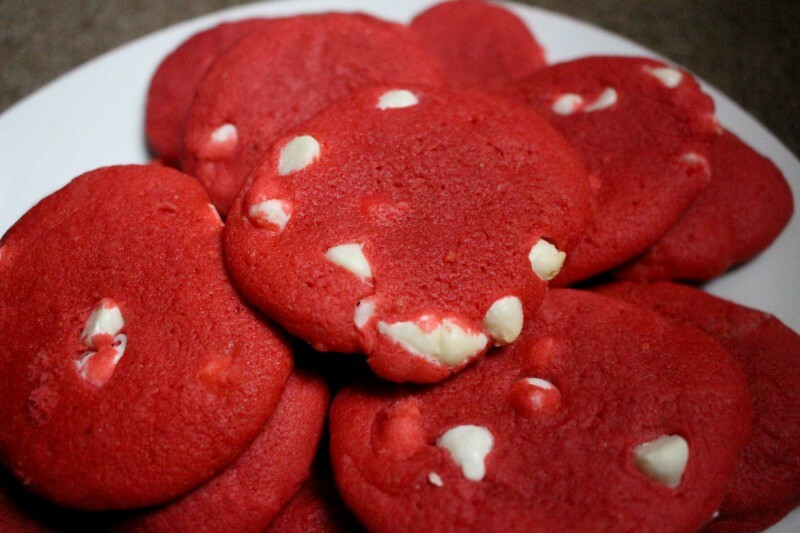 I’ve done a play on my favorite chocolate chip cookie recipe that’s extra festive just in time for Valentine’s Day! It’s super easy and very delicious – perfect for Valentine’s Day no matter how you plan to spend it! Pre-heat your oven to 350 degrees. 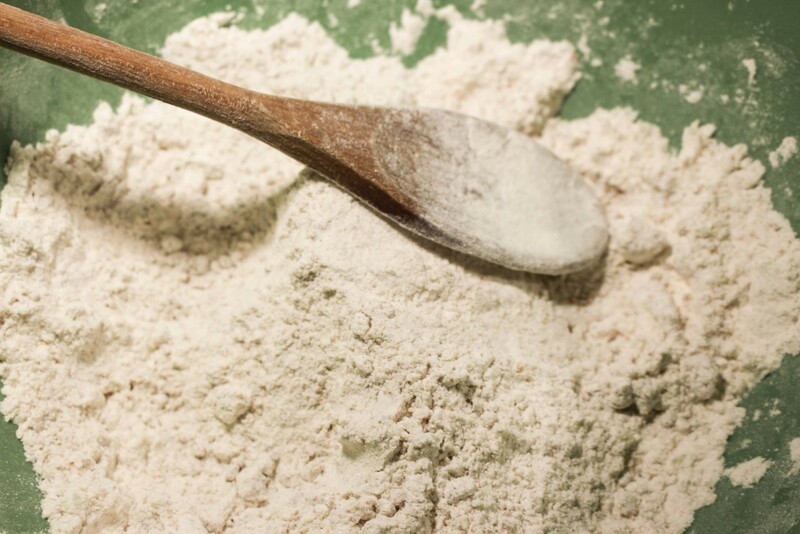 Combine the dry ingredients in a bowl and mix. slowing add in the wet ingredients, making sure to soften your butter first. 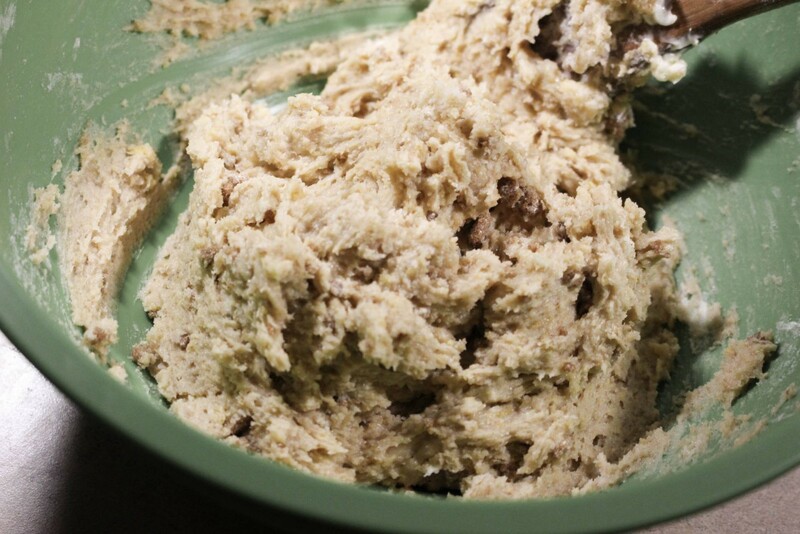 If your dough is too firm add two teaspoons of water. 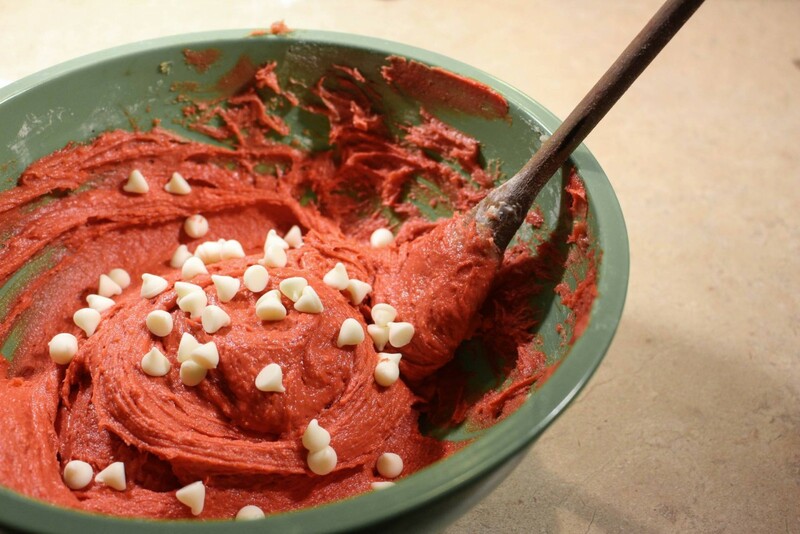 After dough is incorporated add your red food coloring. I ended up using a whole container to get this bright color but you can add as much or as little as you like. Then add your chips! 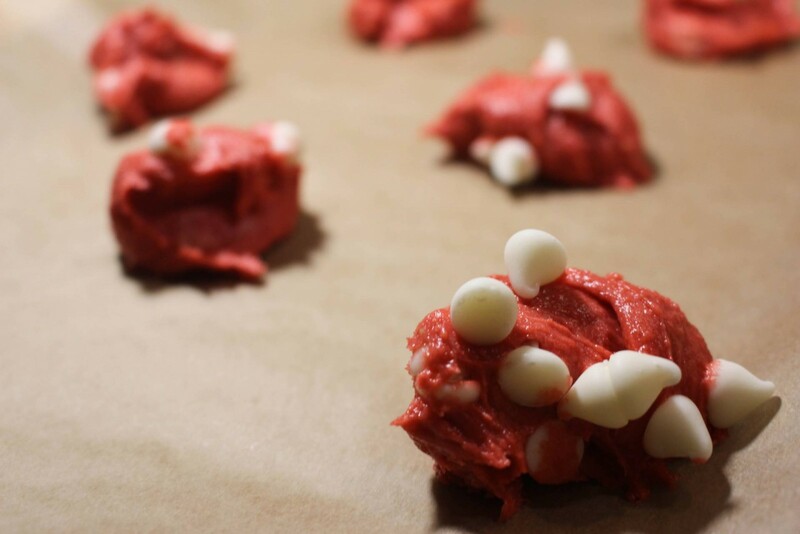 Drop 1 inch balls of dough on a parchment paper lined cookie sheet. Cook for nine minutes then allow to cool before transferring to a wire rack. Let me know how you are planning to spend Valentine’s Day in a comment below! Ohh the colour of these is so impressive! I always find it so hard to get that vibrant colour. These look delish! 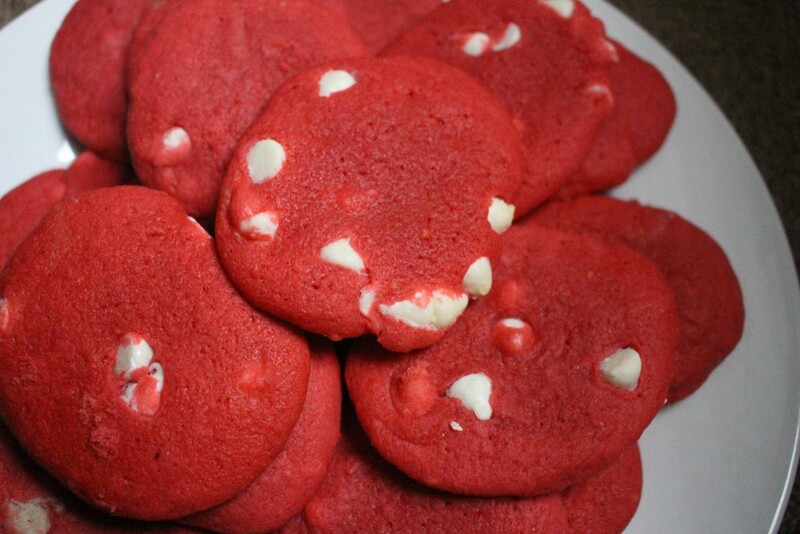 I actually used an entire container of red dye in this batch! My roommate was a bit scandalized! The good news is they taste just as delicious – no matter what color they end up!